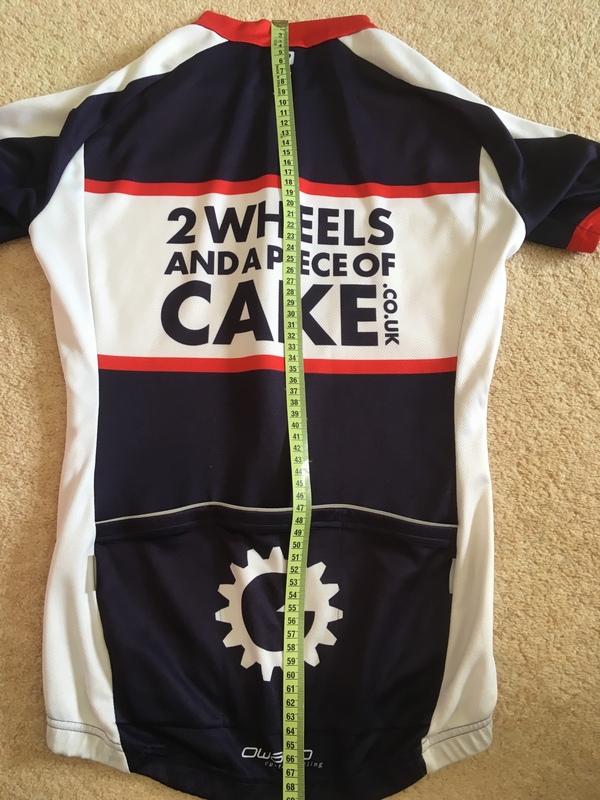 We love our custom cycle jerseys so much that we wanted to share them with you! 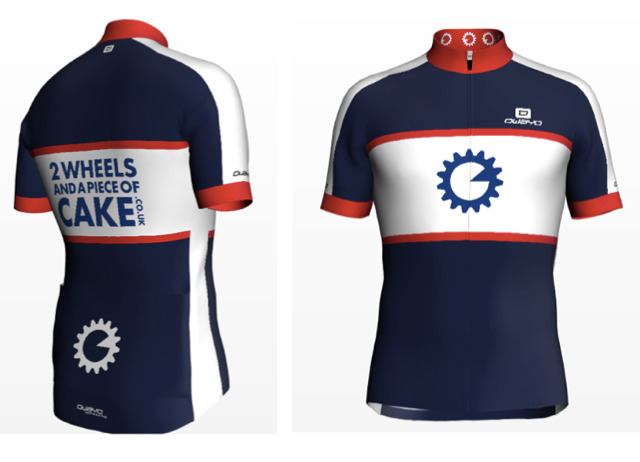 Our custom design, short sleeve pro cycle jersey in moisture wicking fabric is a pleasure to wear. These are Limited Edition and are designed and created in Germany. 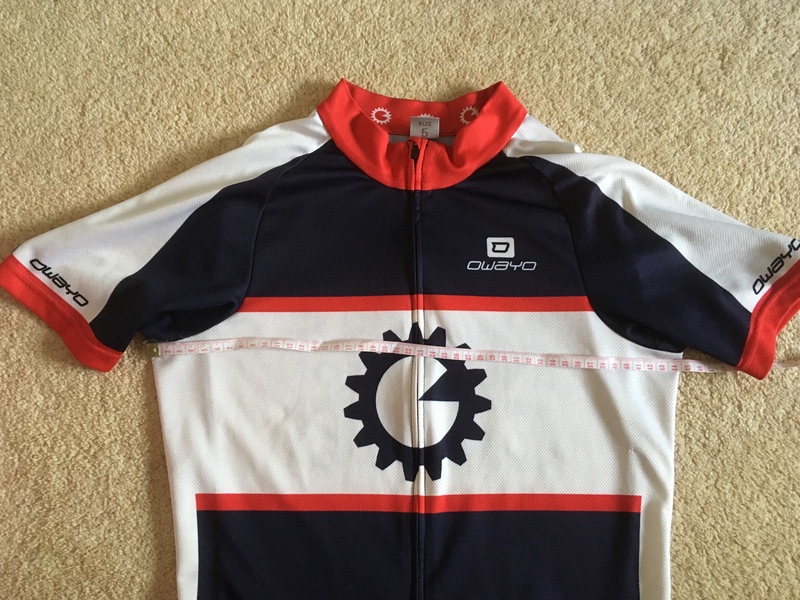 Colour scheme is a bold navy, red and white with our cog and cake logo inside the collar, on the chest and on the back pocket. Please place pre- orders by midnight Sunday 7th April '19. If we reach the minimum order number, we will then contact you to confirm your order and take PayPal payment. We aim to place an order with our manufacturers for delivery end of May. Thanks! integrated silicon gripper band in the hem prevents the jersey from riding up your back. R-Tex fabric selected for its 4 way stretch to provide comfortable fit. available in a range of sizes - IMPT - please check below. 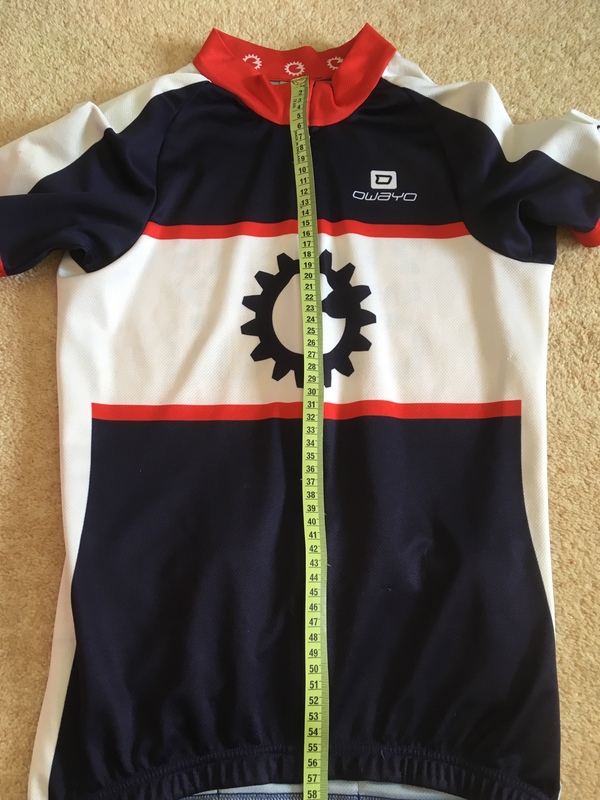 Size guide below (to compare with your current favourite jersey! ).